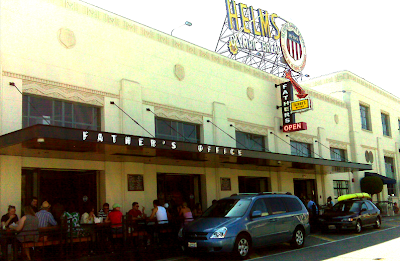 Ok - Father's Office Culver City is not as small as the original Santa Monica location. But this popular bar & restaurant definitely serves up the same amazing burgers, sweet potato fries and 20+ beers on tap just with a bit more space. Freshly opened this week, Father's Office 2.0 (as the LA Times has dubbed it) features a large outdoor deck and is the perfect stop for a bite and a beer while checking out the great furniture shops housed in the old Helms Bakery. 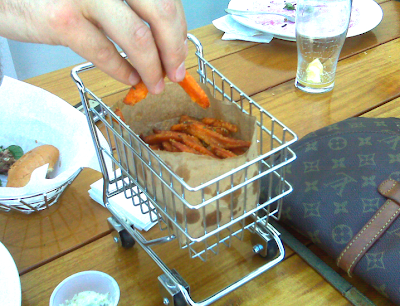 0 Responses to "LOVING EATING SMALL: Father's Office via Culver City"